On January 25th, the eTOX Executive Committee members François Pognan (Novartis Pharma), Ferran Sanz (FIMIM), Thomas Steger-Hartmann (BHC) and Carlos Díaz (SYNAPSE) held the close out meeting of the eTOX project at the IMI´s offices in Brussels. IMI´s Executive Director Dr Pierre Meulien also attended the meeting. The main points addressed during the meeting were project’s objectives and outcomes, impact, sustainability and lessons learned. The eTOX project stems from the very first IMI Call (it started in 2010) and was the very first IMI project that Synapse has managed. The project successfully ended in December 2016. With a budget of over 18.5 million €, the project was undertaken by a consortium of 30 organisations led by Novartis, among which 13 EFPIA companies, 11 academic partners, and 6 SMEs. The eTOX project aimed to build a toxicology database and novel software tools to better predict in-vivo toxicology of new chemical entities in early stages of the drug development pipeline. 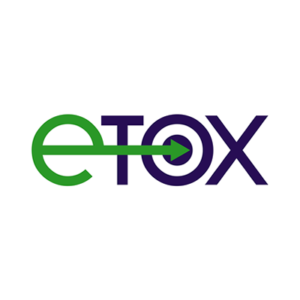 The eTOX project leaves behind as main assets: eTOXsys – a tool to facilitate the safety assessment of new drug candidates; OntoBrowser – a tool to support community-based ontology development; eTOXlab – a platform for the development and maintenance of the models. These tools are an important legacy that will be further used within eTRANSAFE, an IMI-2 project recently started, that is expected to build upon the success of eTOX.